After a week, it’s time to publish another mail I receive as Insider for the launch of the first Ubuntu Phone. In last month there were a lot of rumors and speculations (some of them were very accurated), but now it’s time to clarify: it’s time to see what’s the hardware of the first Ubuntu Phone! Next up in this Phone Glimpse, we’ll be shining the spotlight on our hardware device for the Ubuntu phone. 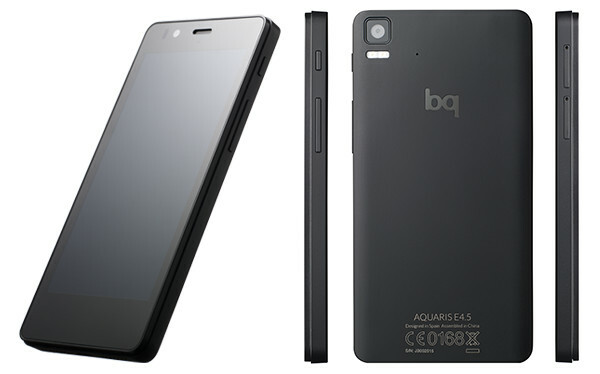 We are confident and excited to be partnering with Spanish mobile device manufacturers bq for the Ubuntu phone. bq is dedicated to designing and manufacturing multimedia devices. It’s six directors only formed seven years ago where they met as telecommunications students who would repair computers in their spare time. Today it’s one of the top-selling tablet, e-reader and smartphone brands within Spain that is continually spearheading innovation notably with their entry into 3D printing and robotic kits. The company developed the DIY: My First Robotics Kit in an attempt to demystify technology by stimulating kids to start building their own robotic models. And their entry into 3D printing with bq Witbox has been commercially impressive where they’ve recruited leading professionals from Spain’s printing and robotic sectors. A strong innovative brand who operates in Europe with over 600 staff. With mobile, in 2013 bq shipped almost 1.5 million devices and in less than a year has become Spain’s second biggest seller of unlocked smartphones. The Aquarius E4.5 Ubuntu edition will be available in Europe and can be purchased soon via the bq site. Here are the core specs which you can see for real soon, at the Insider event! 19 Apr 2019 » Responsible disclosure: improper access control in Gitlab private project. 10 Feb 2019 » Glasnost: yet another Gitlab's client. 23 Sep 2018 » Responsible disclosure: retrieving a user's private Facebook friends.